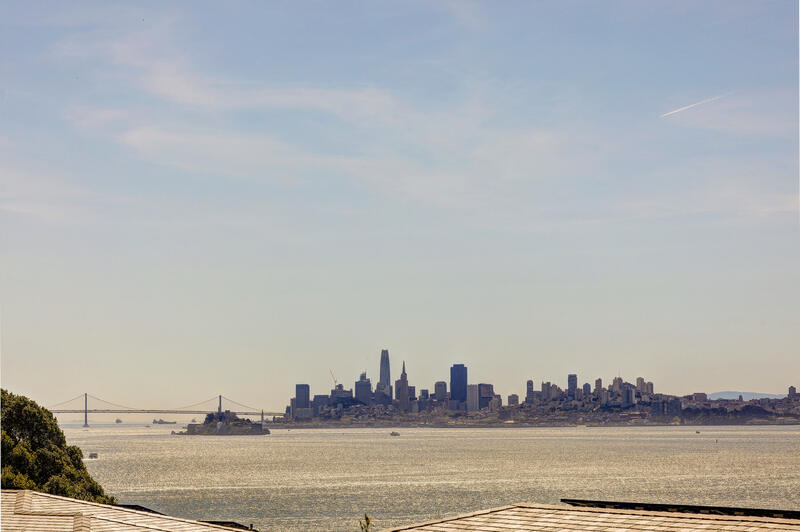 423 Belvedere Ave, Belvedere, CA from Blu Sky Films on Vimeo. 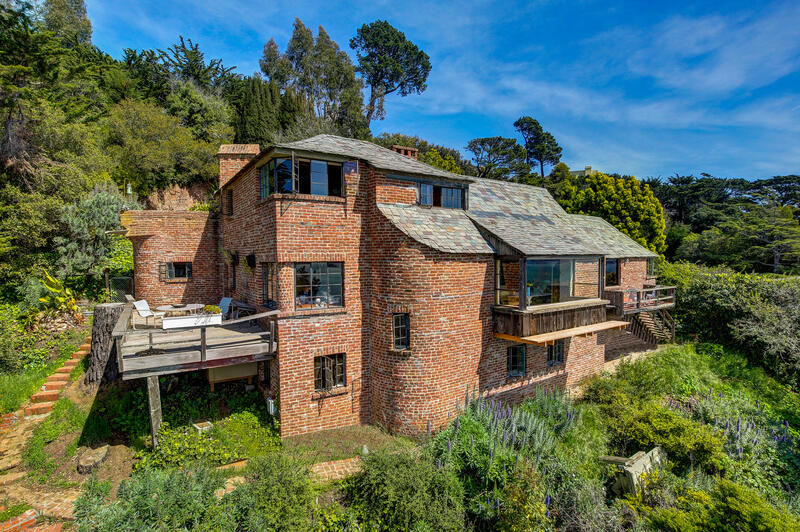 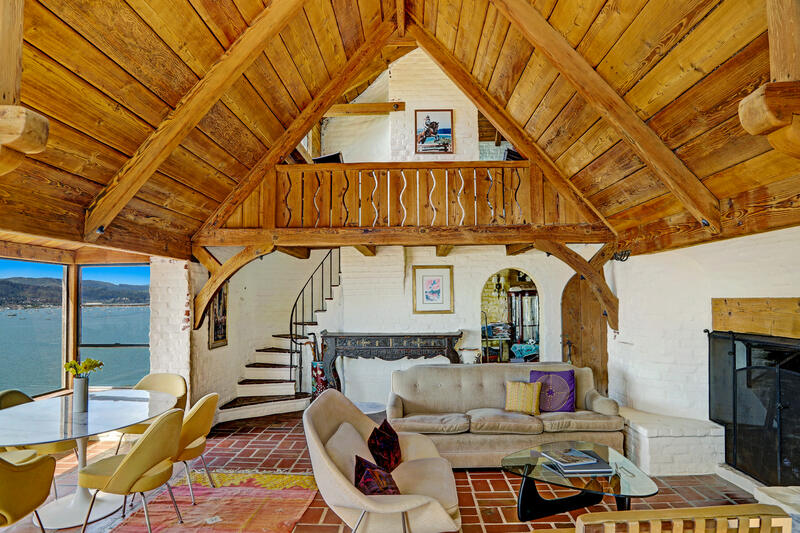 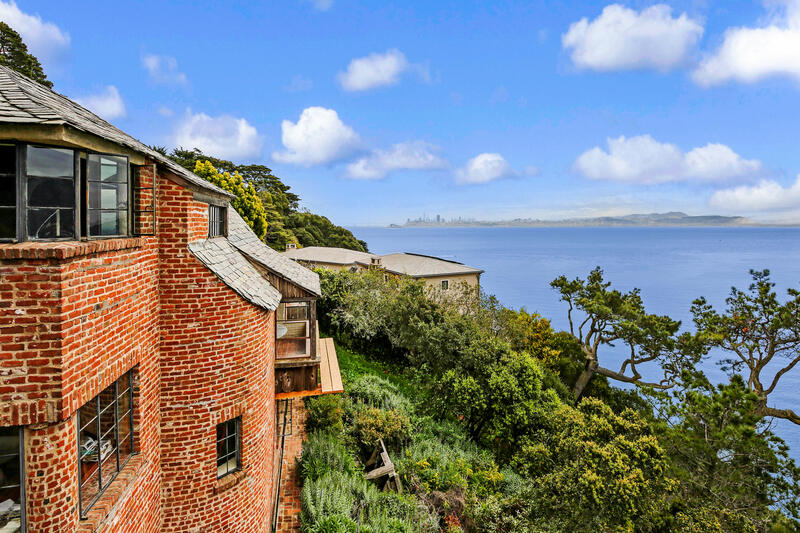 Iconic and artistic, this storybook residence, located on the edge of the San Francisco bay offers a whimsical yet practical nature, and a feeling of serenity and privacy. 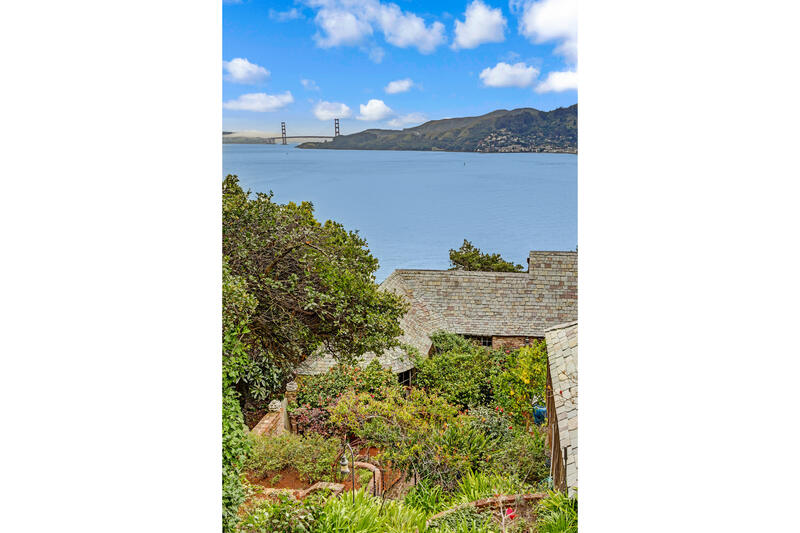 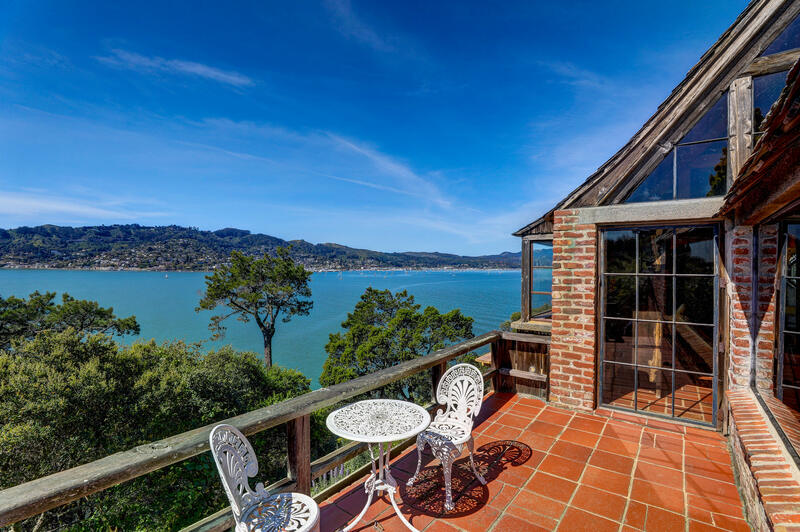 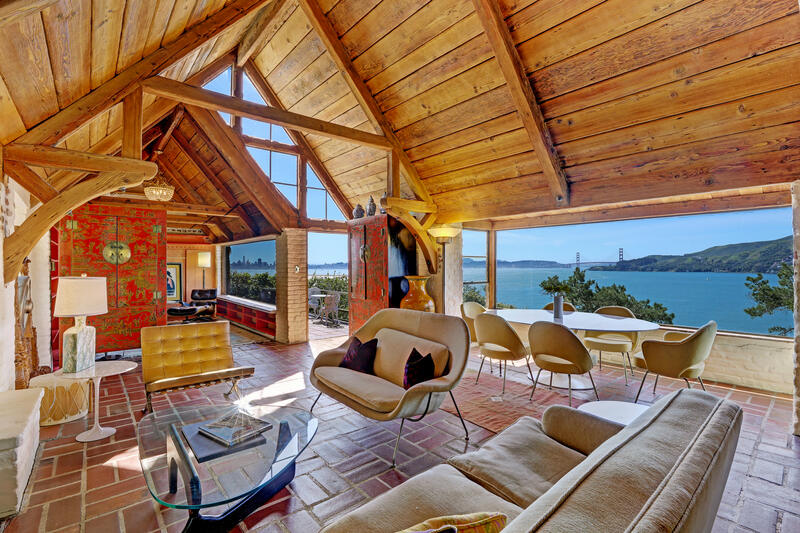 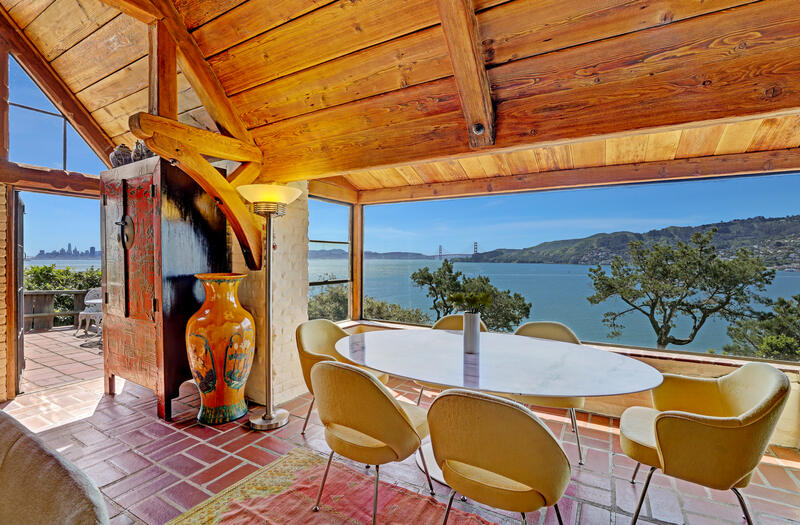 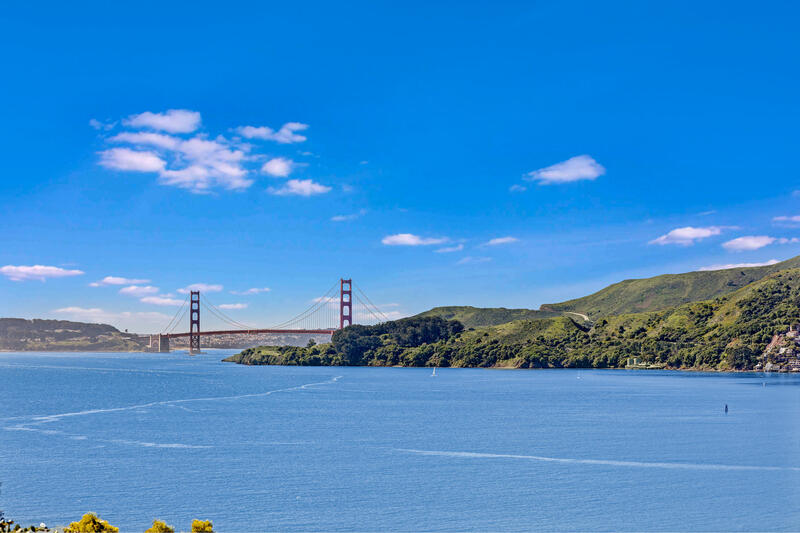 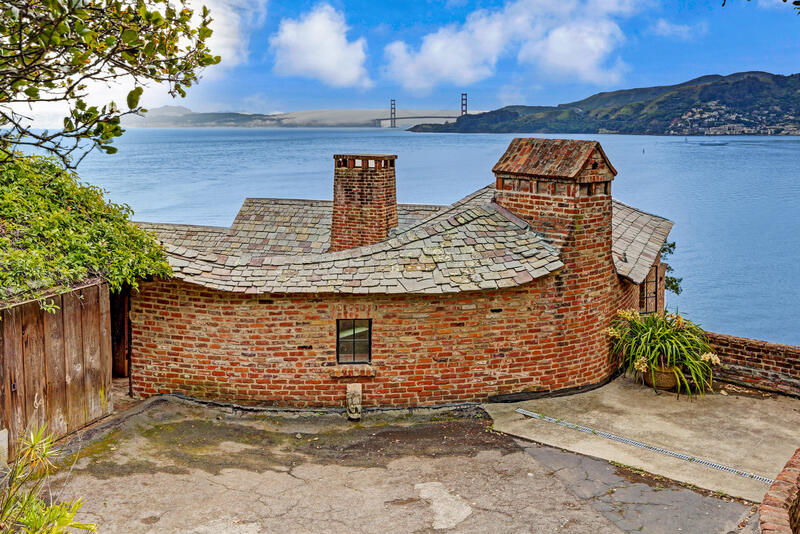 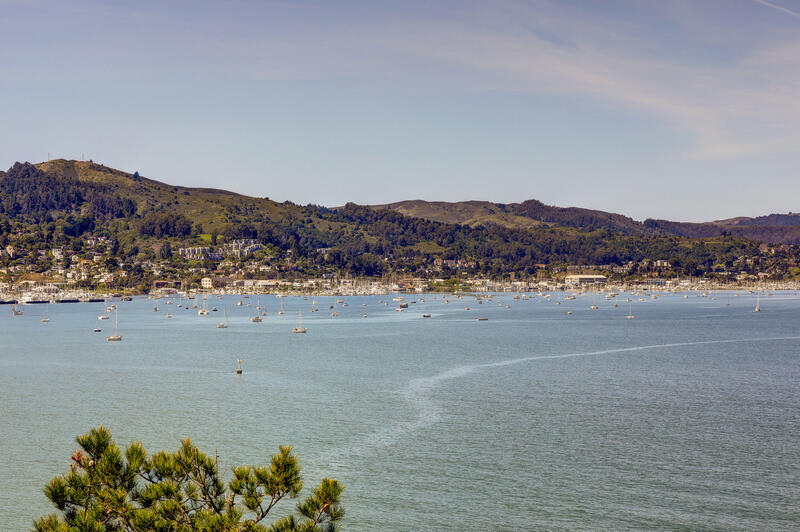 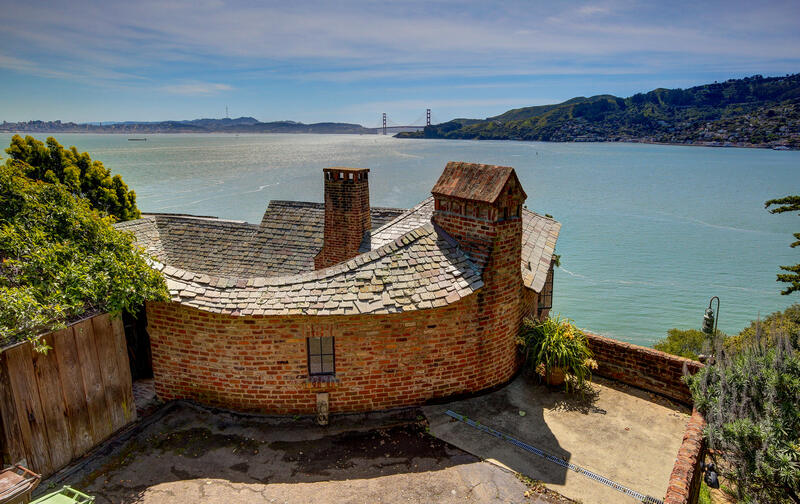 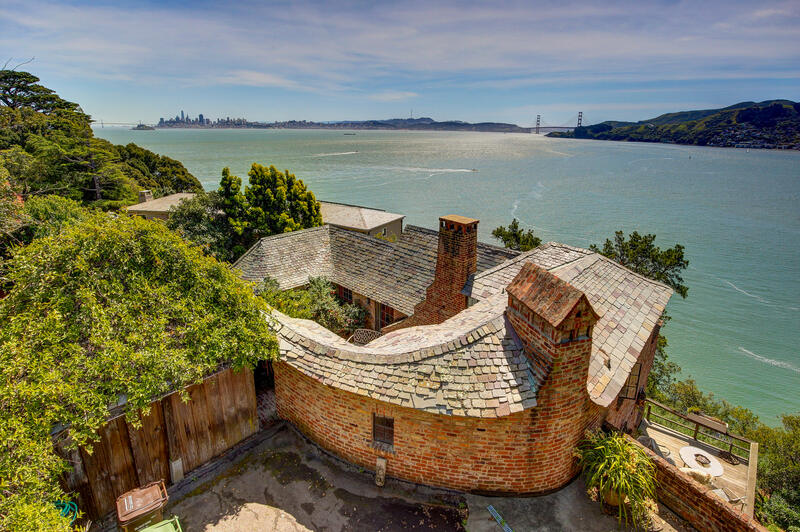 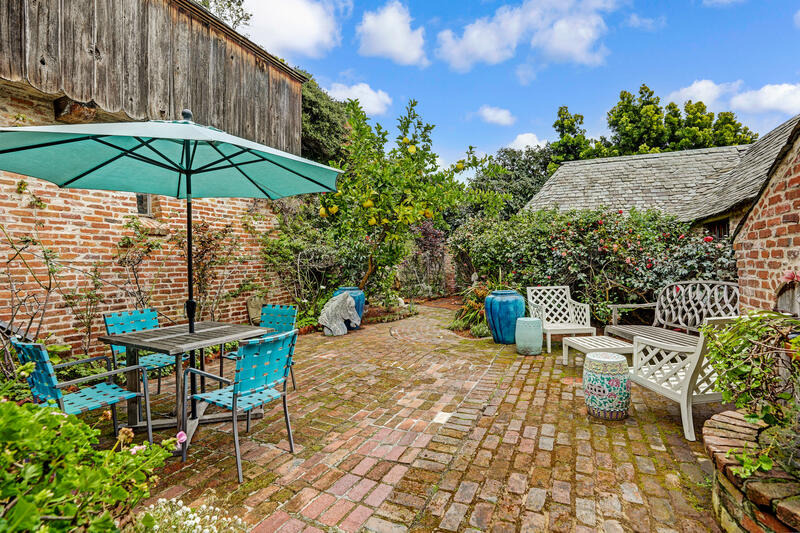 This historic residence is perfectly situated in a world class setting offering sweeping views spanning San Francisco, the Golden Gate Bridge, Sausalito, across to Mount Tamalpais. 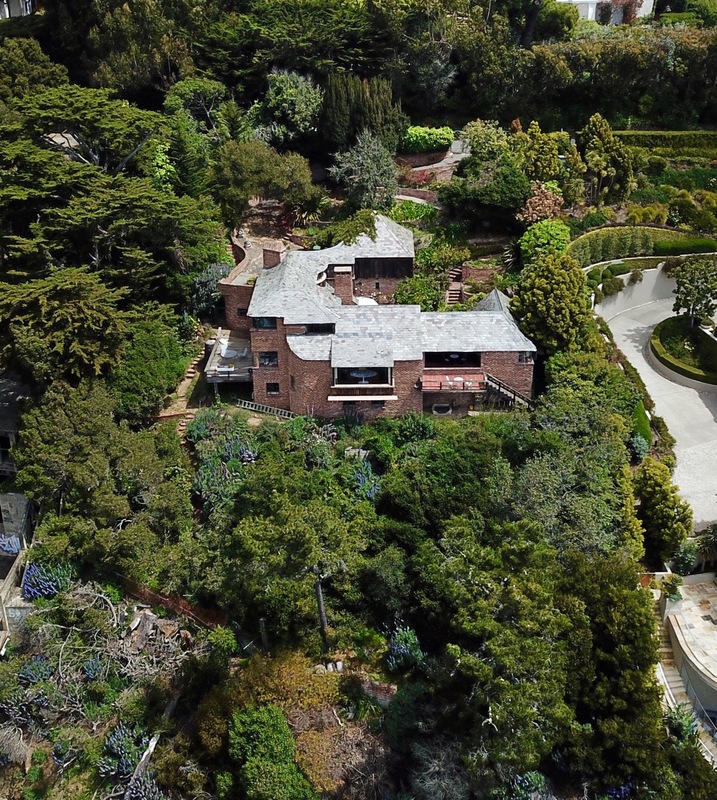 Designed and built by famed architect and builder Carr Jones in 1930. 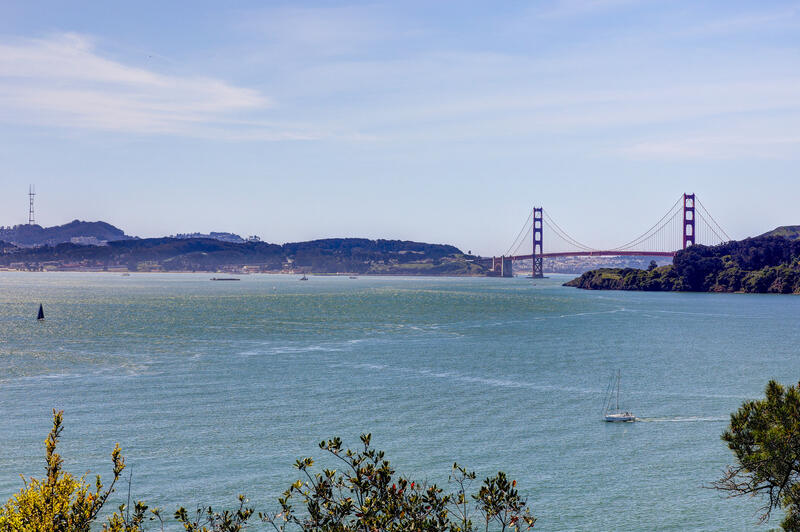 One of the first residents was Joseph Strauss the chief engineer for the Golden Gate Bridge. 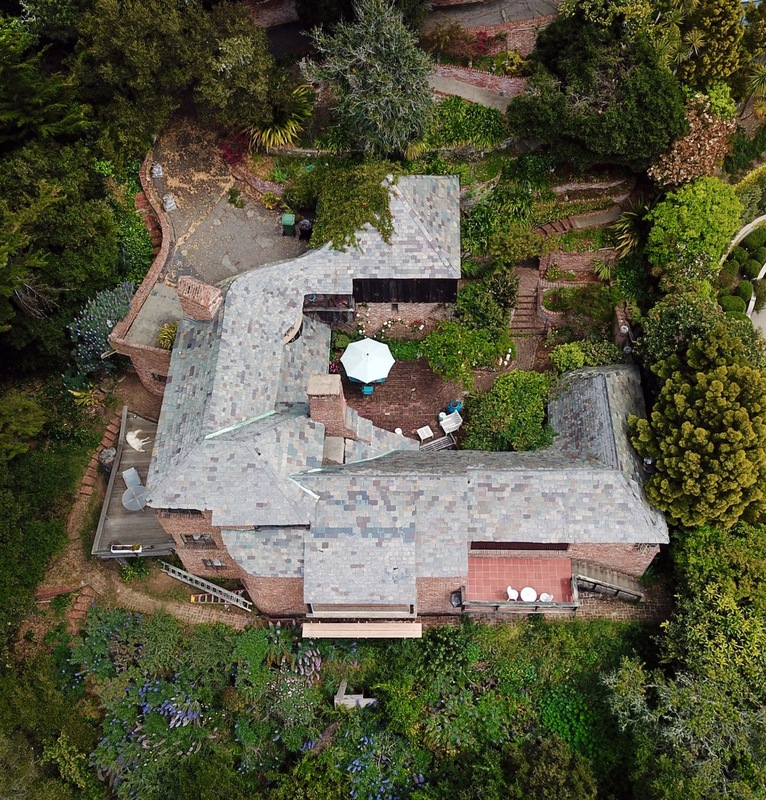 Many have claimed his move to 423 Belvedere had everything to do with the location overlooking his Golden Gate Bridge project in 1933 -1937. 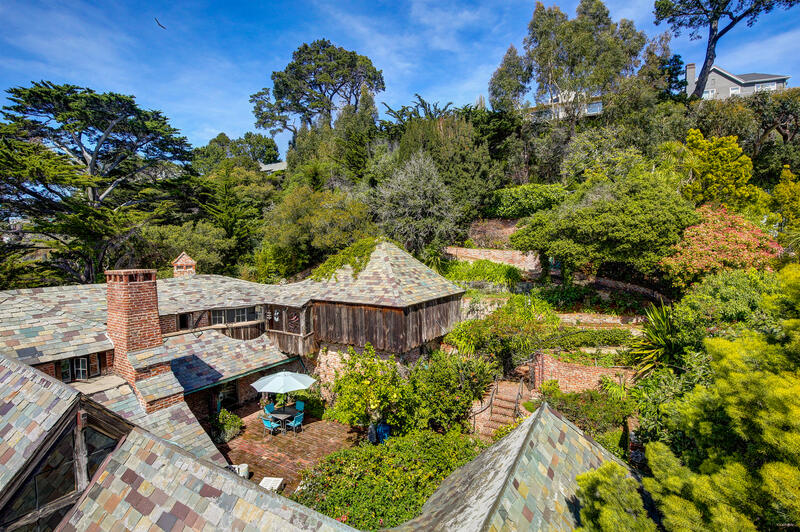 John and Audrey Jones Beck purchased the home in 1960. 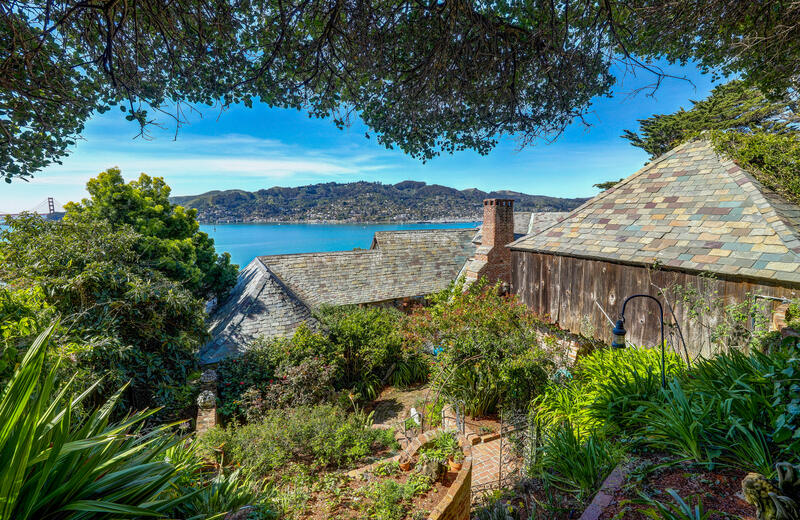 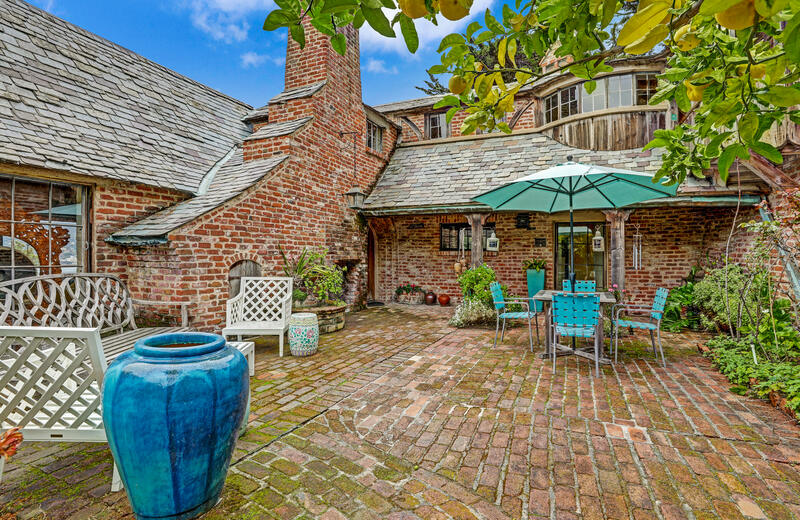 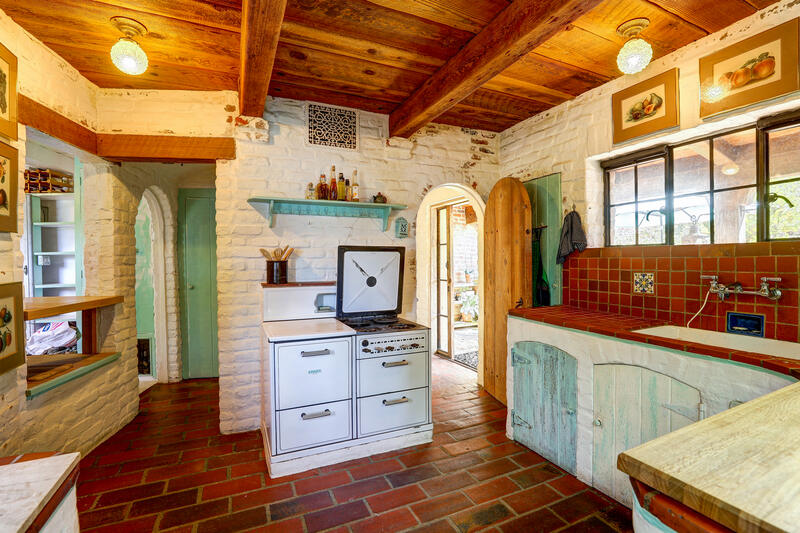 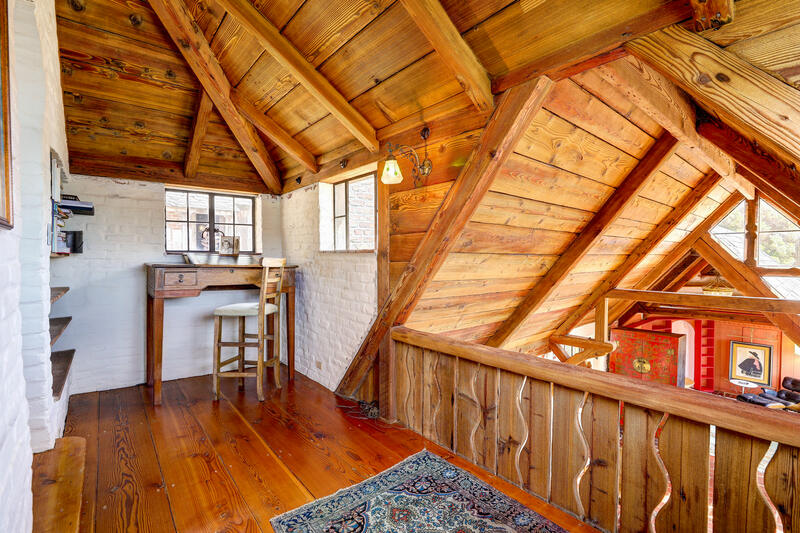 A philanthropist from Houston, Texas, and granddaughter of the famous Jesse H. Jones, The Jones’ purchased this storybook cottage on Belvedere Island to escape the Texas heat spending 6 months a year in Belvedere. 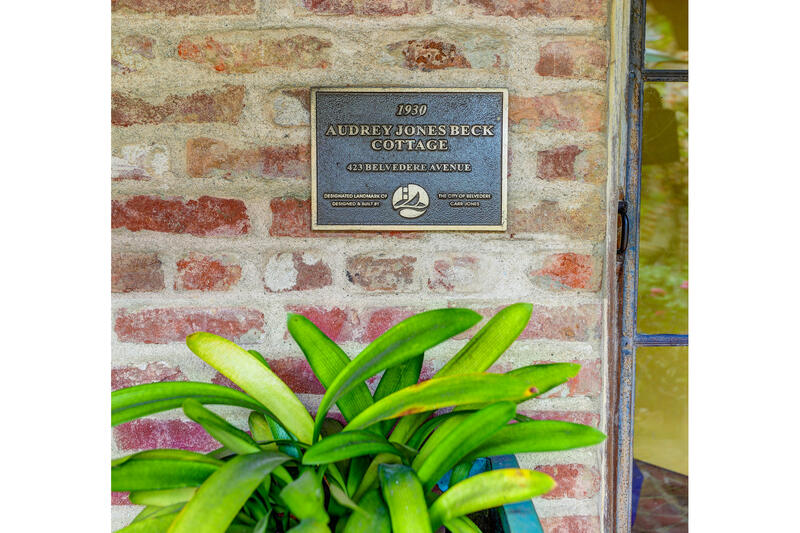 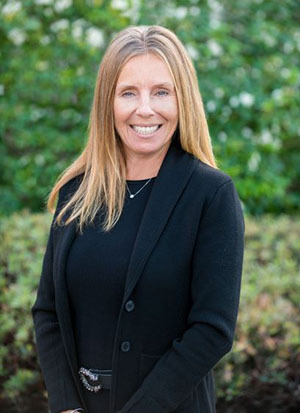 Audrey Jones Beck was well known for her personal collection of impressionist and post-impressionist paintings, which she donated to the Museum of Fine Arts in Houston. 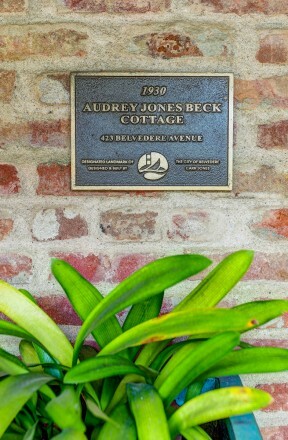 Audrey had been a founding trustee of Houston Grand Opera, Houston Ballet and Houston Symphony Society. 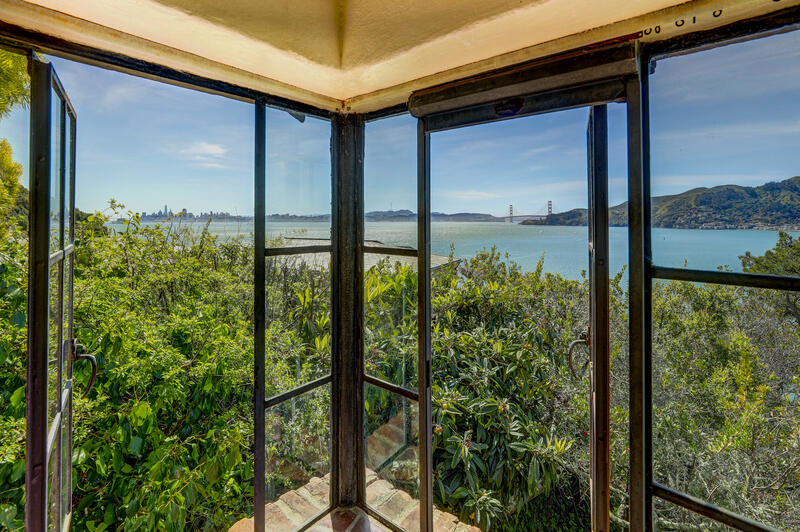 When Audrey passed away in 2003 she donated 423 Belvedere to the Museum of Fine Arts, in the hopes they would keep it as a retreat for writers. 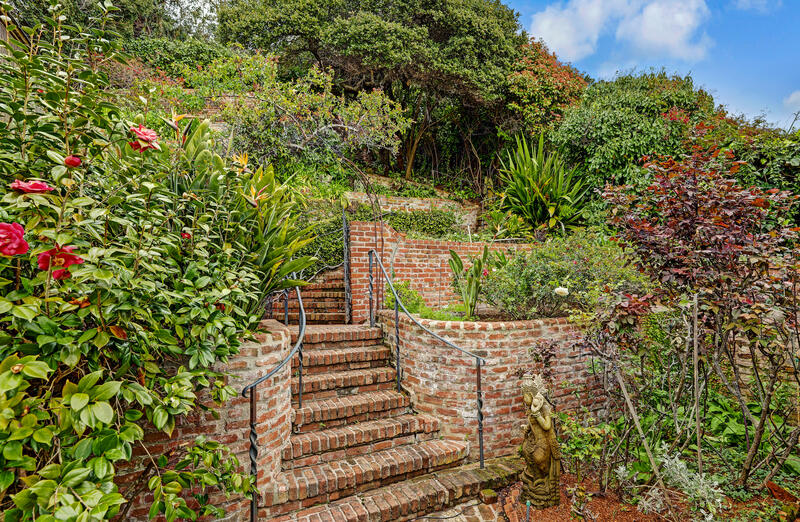 This special property offers 3 bedrooms , 3 bathrooms, and a large bonus/family room on the lower level. 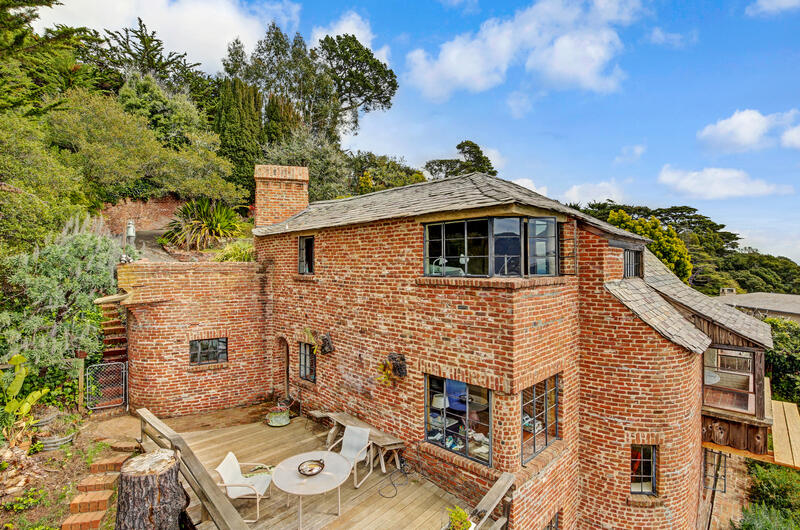 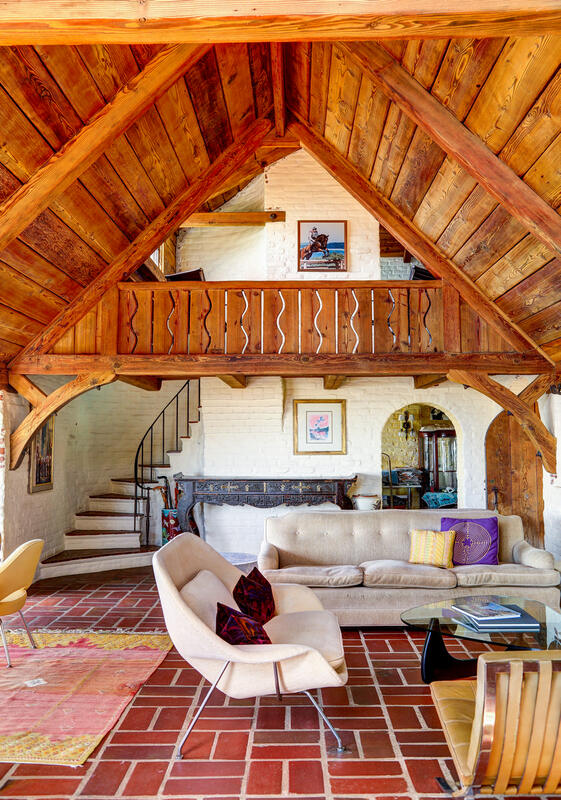 Intricate craftsmanship and design is showcased throughout with special brick and wood work detail and a sloping interconnecting slate roof. 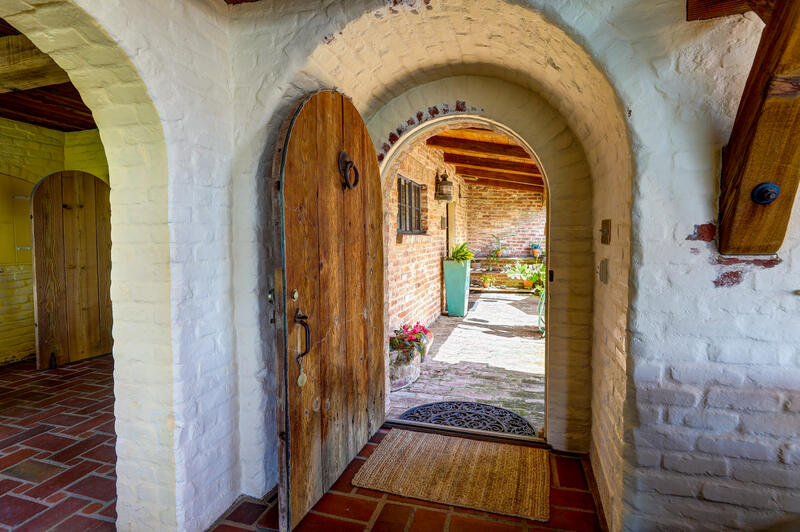 As you enter the residence your eye is drawn to the panoramic world class views and the uniquely designed curved roof line and brick exterior. 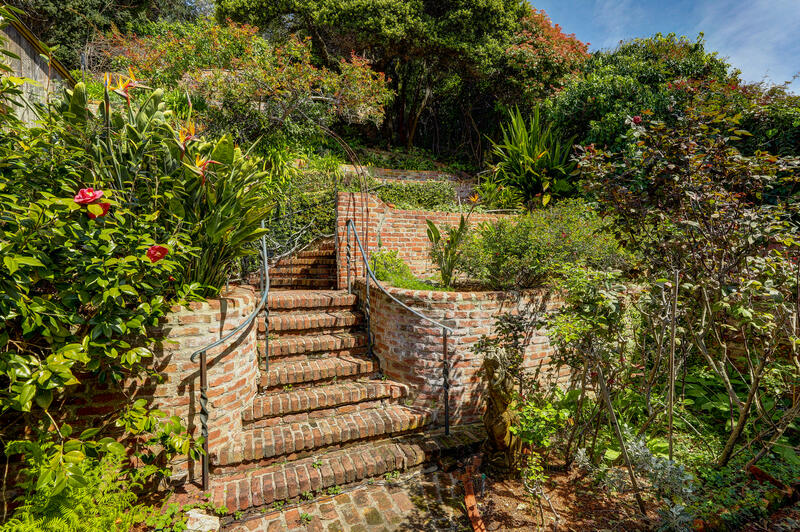 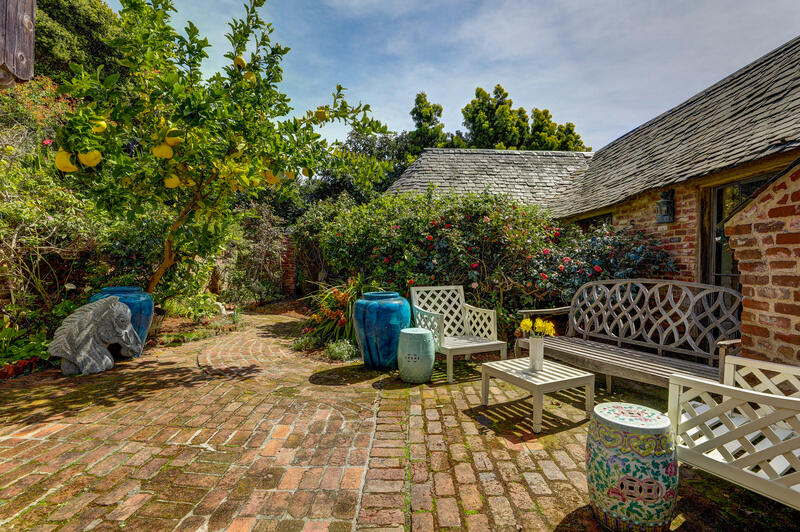 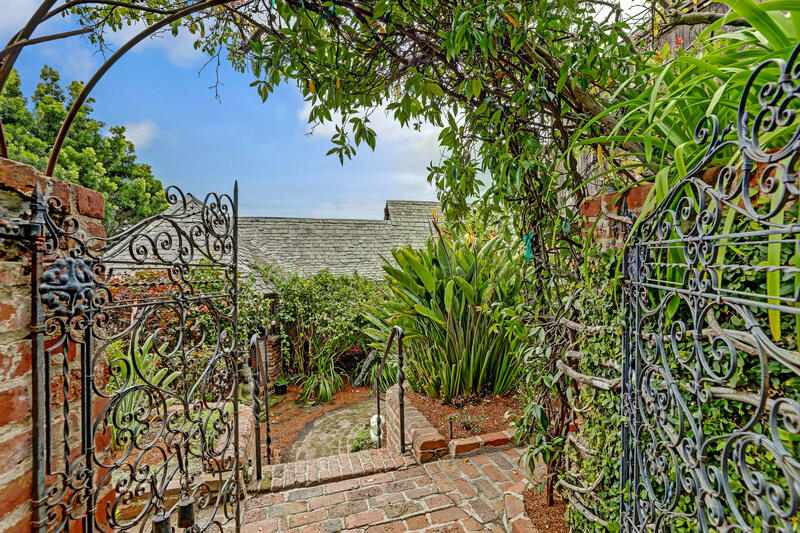 Upon entering the gate, you are led to the entry of the home through a winding brick staircase down to the enchanting front courtyard and front entry, surrounded by mature landscaping and beautiful gardens. 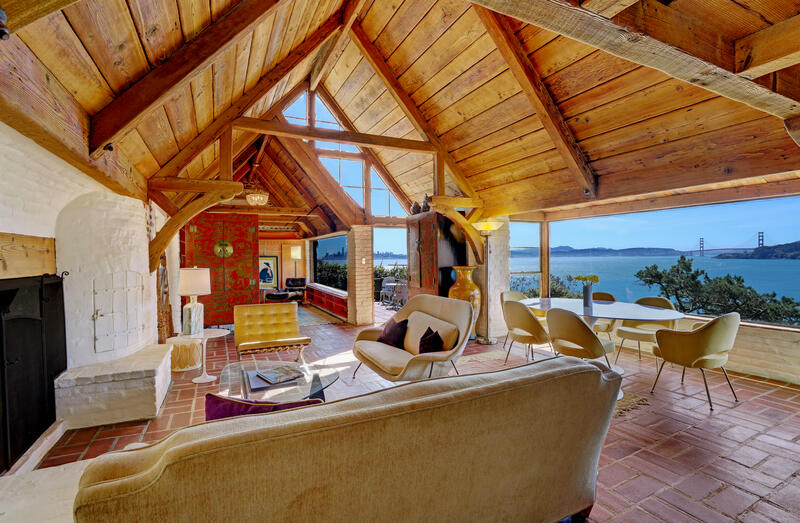 You have now arrived at your own real life ‘Storybook’ residence…. 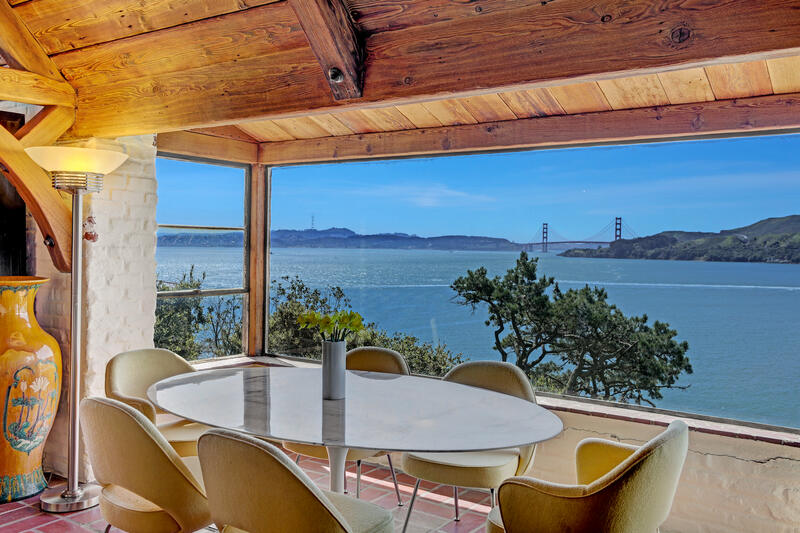 The formal living room and dining room exude charm and offer a wonderful area to entertain your guests, opening out to a view terrace with panoramic views. 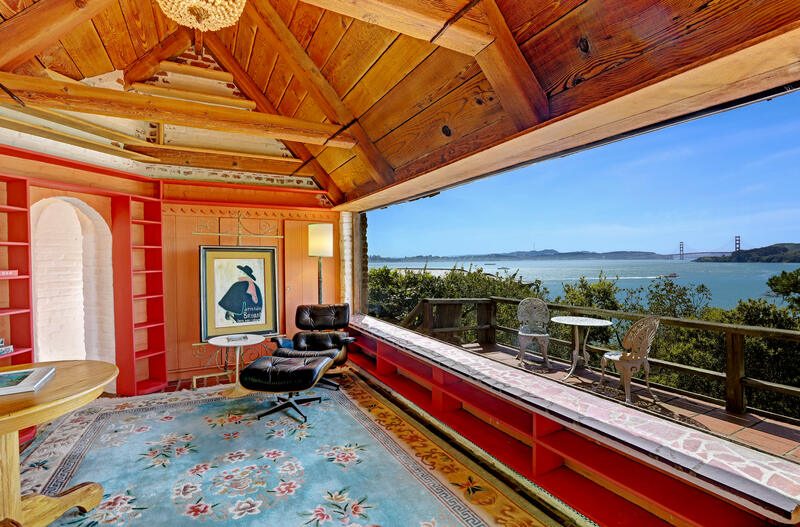 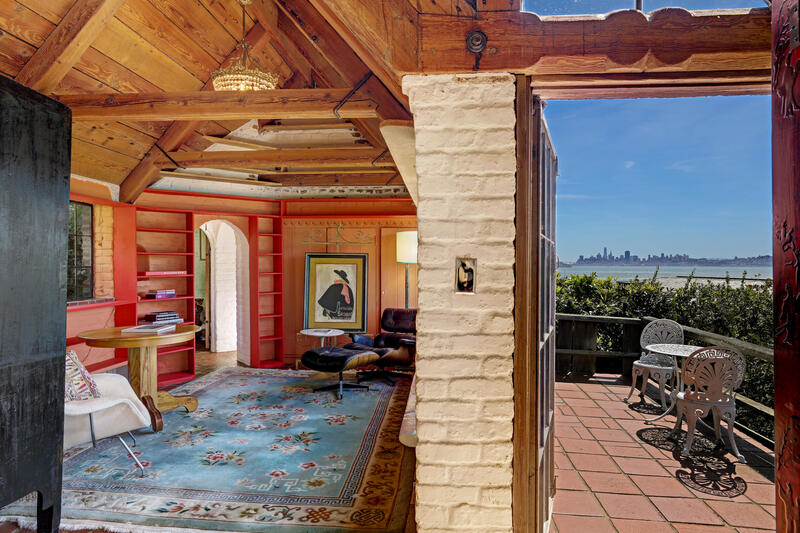 The adjacent sitting room/library/den is the perfect place to read, work, or relax while mesmerized by the spectacular views of the San Francisco bay. 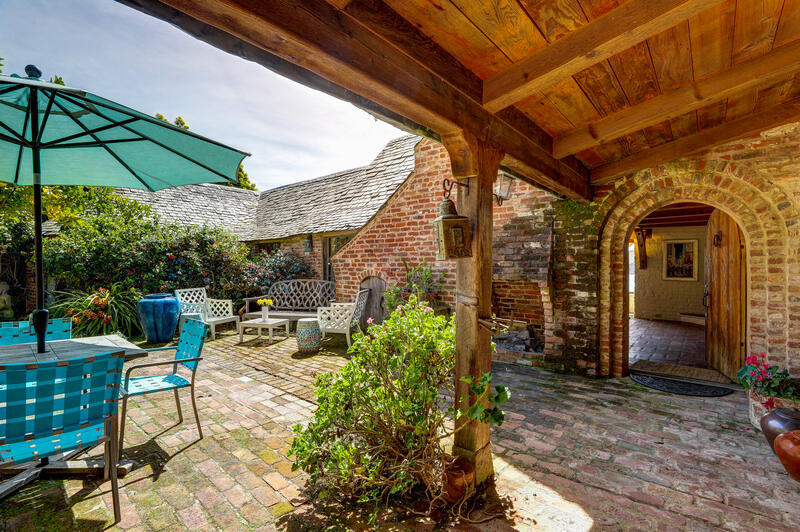 A main level bedroom opens to the brick courtyard. 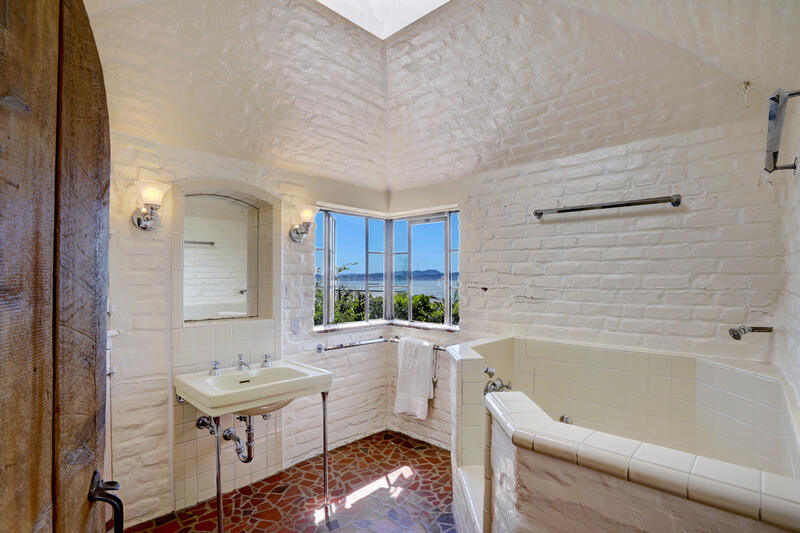 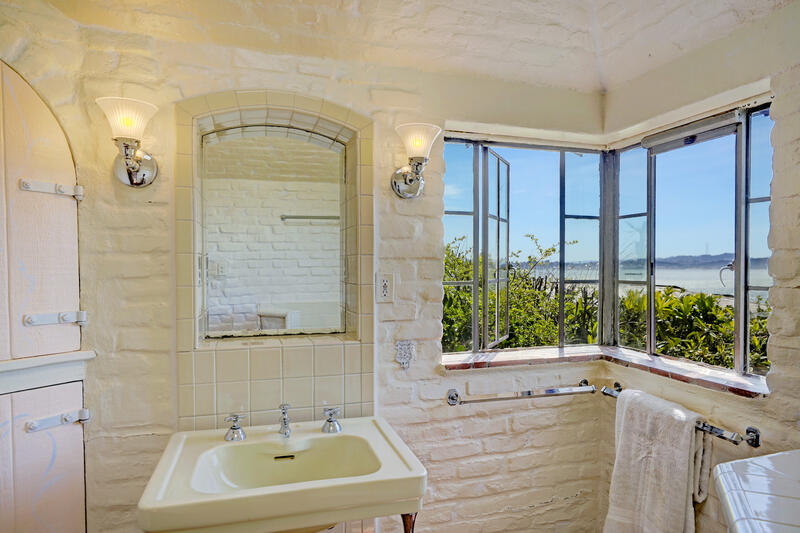 An adjacent guest bathroom offers Golden Gate Bridge views and overlooks the bay. 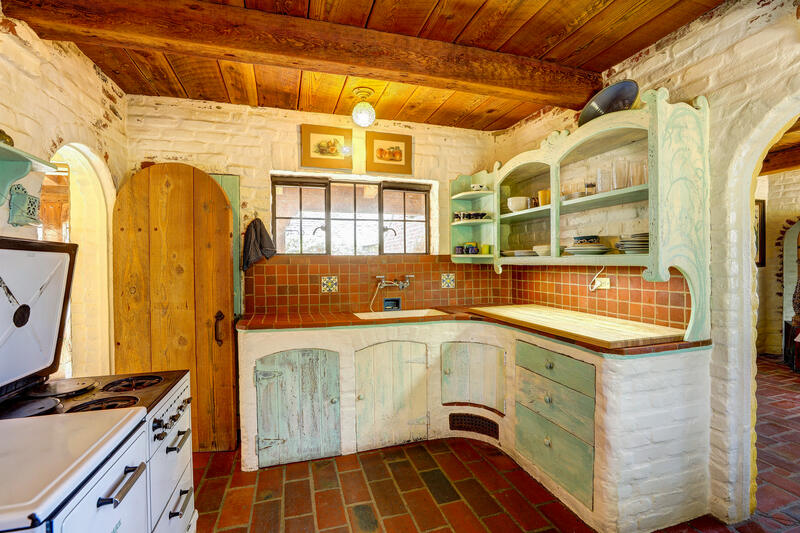 The kitchen radiates with charm and character and offers storied designed cabinetry, an antique Spark gas range, stainless steel refrigerator, and large pantry room with butcher block counter. 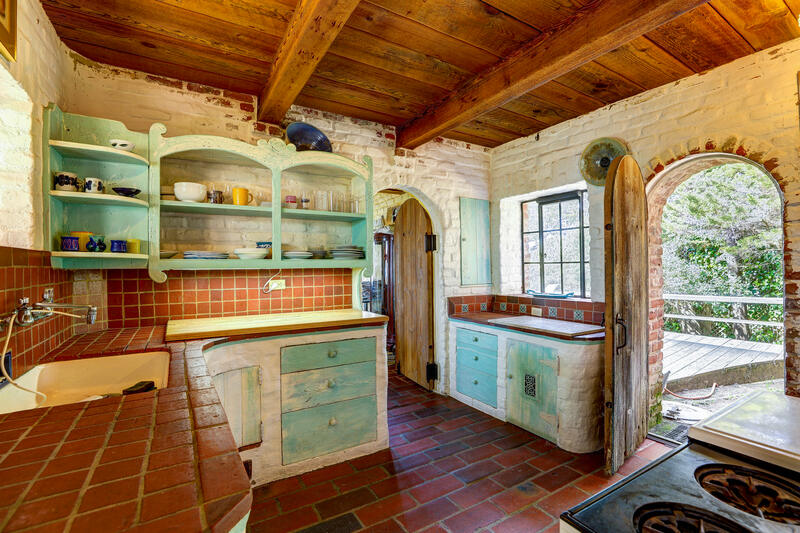 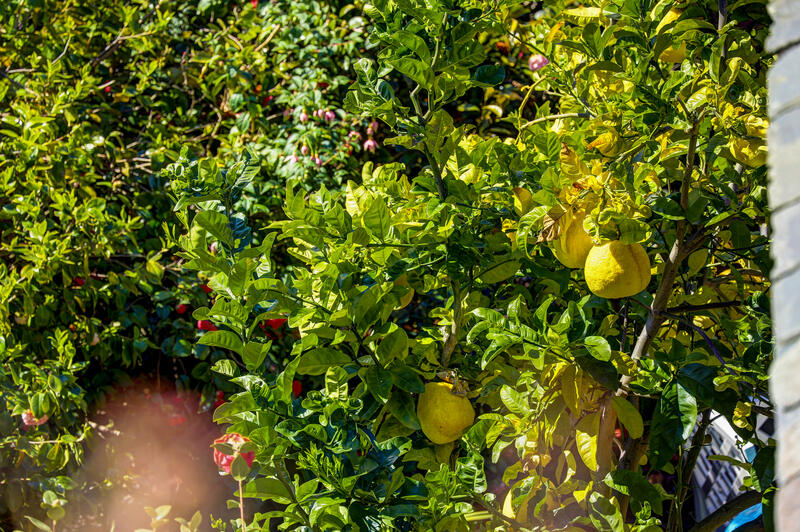 The kitchen opens to a private and sunny deck and terraced gardens. 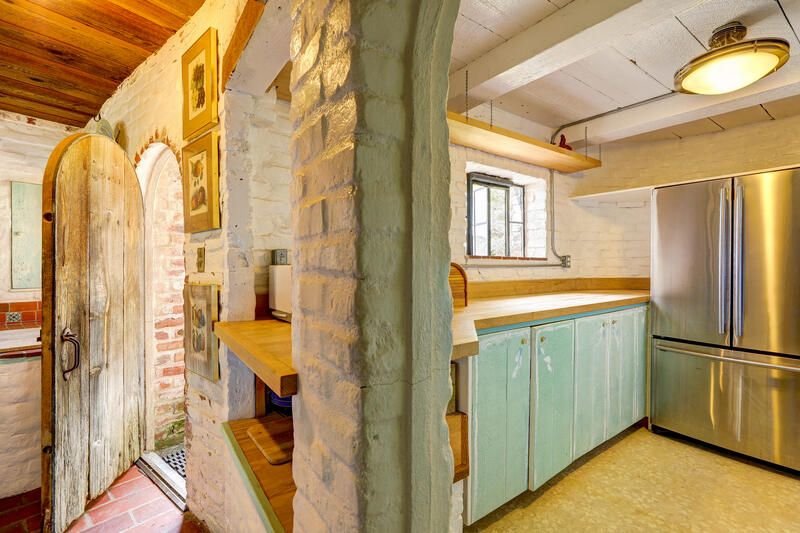 A red brick room with view windows connect to the kitchen and provide a formal dining room option or the ideal home office. 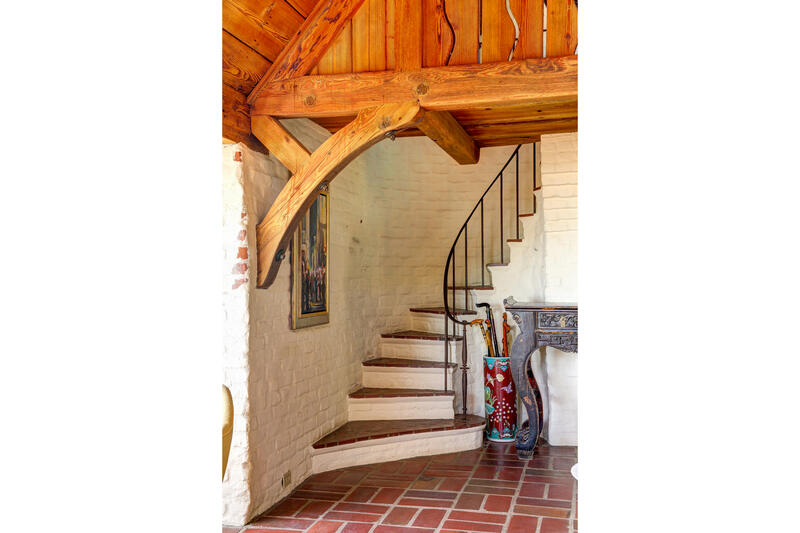 A castle like curved staircase leads to the lower level of the residence with a large bonus/ family room, guest bedroom and full bathroom. 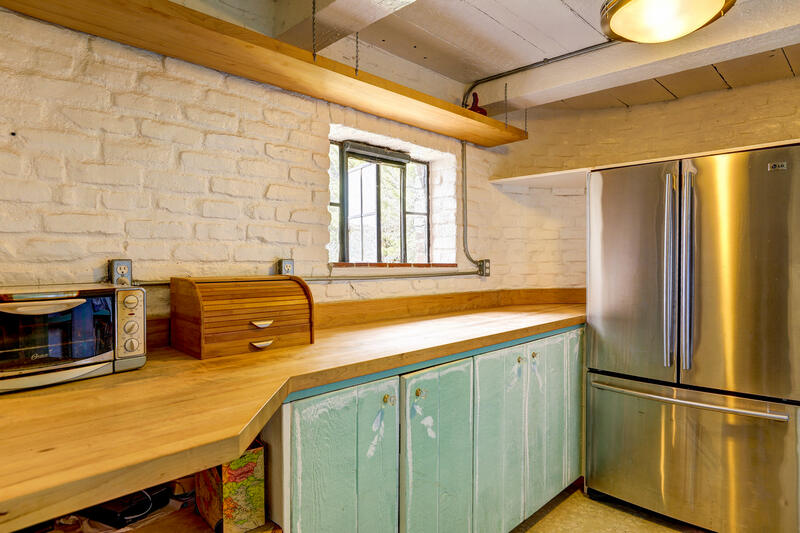 2 car garage with additional parking for 2+ cars. 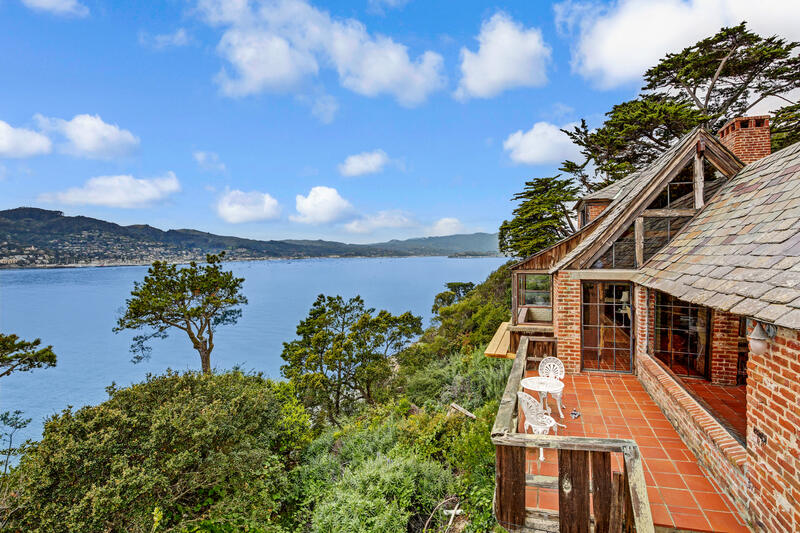 This extraordinary residence in an idyllic setting offers private grounds with multiple entertaining areas, meandering pathways, and access to the waters edge.